North Industrial Park, Huangyan, Taizhou, Zhejiang, China. 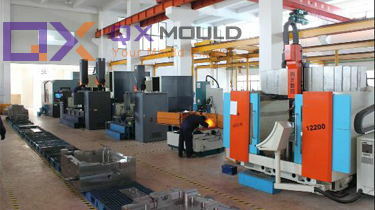 QX Mould, specialized in manufacturing plastic injection moulds. Located in Huangyan, Taizhou, a “Mould Town” called in China, a city with well developed plastic moulding industry; a city with convenient transportation, near to Shanghai and Ningbo port. QX has a team of experienced mold makers from the designing stage to the manufacturing of plastic injection molds to meet customer’s demand for a high quality injected products. We are capable of independently designing and manufacturing all kinds of plastic injection molds including Un-Screwing molds, Insert molds, 2K molds, Overmolds and Die-casting molds etc. The moulds we make have: cap and closure moulds, industrial packaging moulds, plastic household commodity moulds. We are equipped with high speed CNC, milling machine, engraving machine, wire cutting machine, EDM etc. 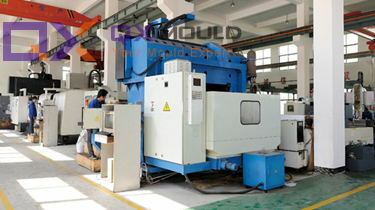 With our advanced CAD/CAM, we provide great service of “product development, mould design, mould manufacturing, injection. With the quality we provide, one might expect our products to cost a fortune but this is not so. All our moulds are priced very strategically to have market competitive prices. The quality we produce is available at reasonable rates and this is what has our customers choosing us time after time. More than 80% of our moulds are exported to many countries and regions, such as USA, UK, Australia, Russia, Italy, Spain, Portugal, Saudi Arabic, Jordan, Kuwait, Turkey, India, Brazil, Colombia, Mexico, South Africa, Nigeria, Thailand, Pakistan, Bangladesh etc. Our customers are growing every year. We take care all of your part design issue and technical issue on your new products development. You have all of our team to success your business. Welcome to visit us or contact us for possible cooperation. How widely the bottle caps used in our daily life? What features does QX plastic cap mould have? © 2018 Taizhou Huangyan QX Plastic Mould Co., LTD All rights reserved.